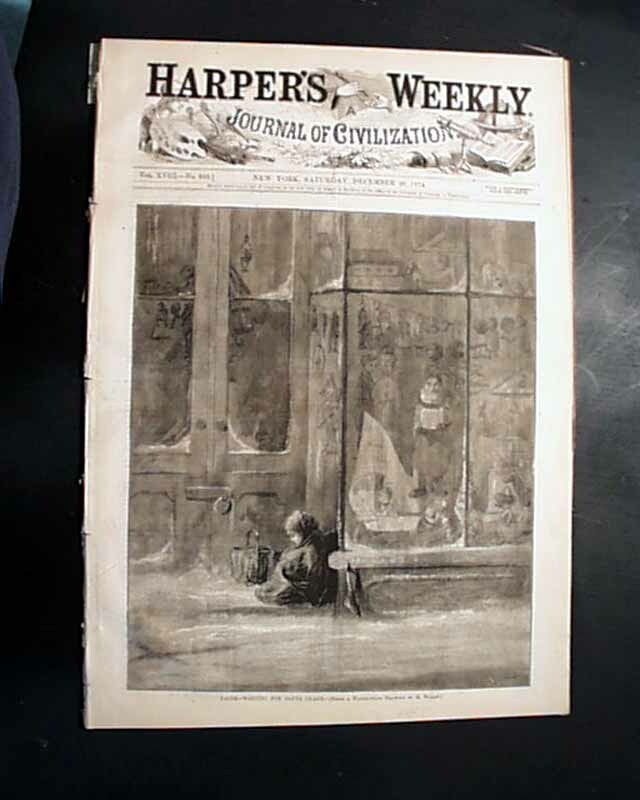 HARPER'S WEEKLY, New York, Dec. 26, 1874 The full front page is a print: "Faith--Waiting for Santa Claus" showing a young girl huddled at the door of a toy store. 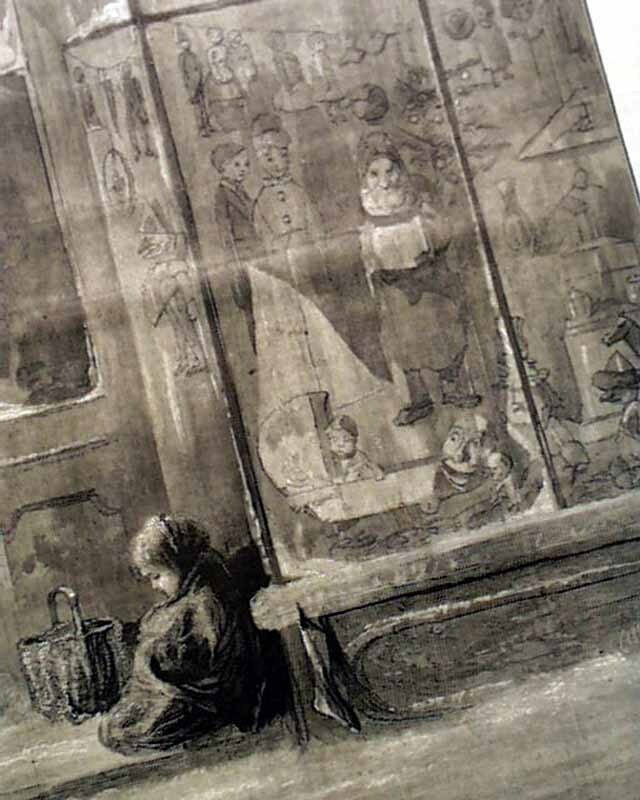 Inside has a nice full page: "Santa Claus is Coming!" 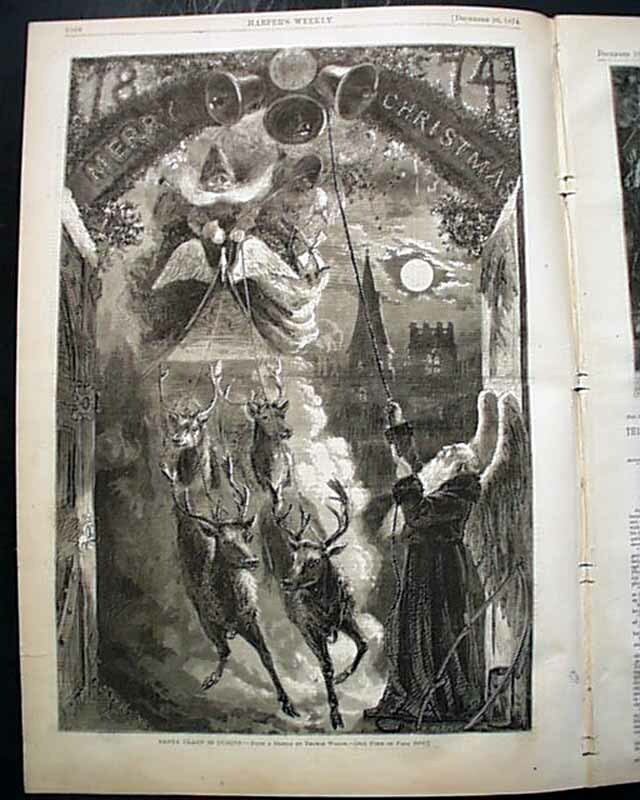 showing Santa on his sleigh being pulled by four reindeer. 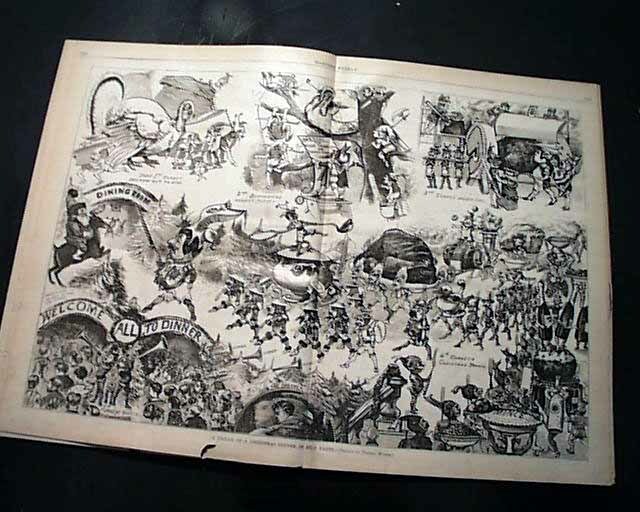 The great doublepage centerfold is: A Dream of a Christmas Dinner in Five Parts". 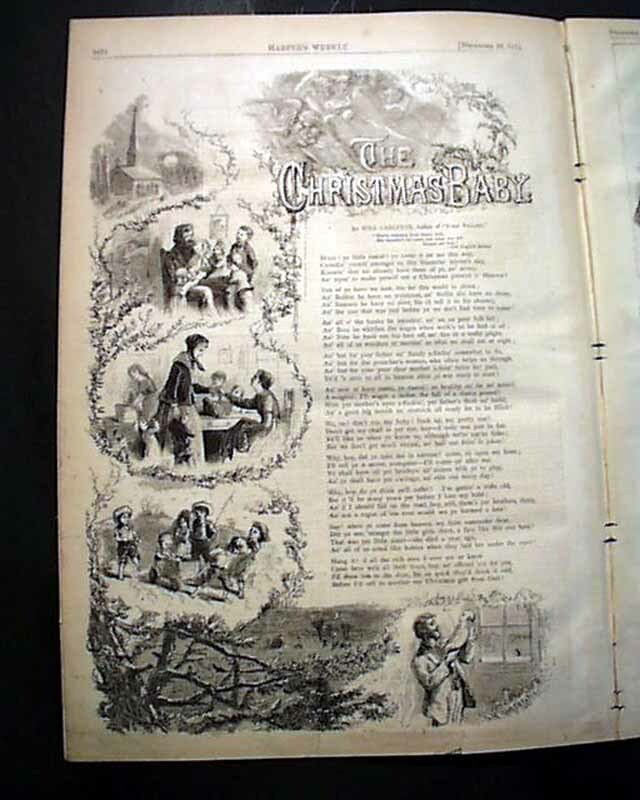 Also inside is a poem with illus: "The Christmas Baby". Sixteen pages, the centerfold is tipped-in so no binding holes, various tears at the bottom margins, and a bit of very light dirtiness at some margins.